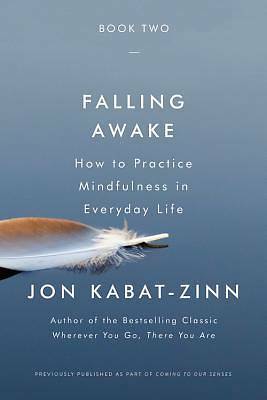 More than twenty years ago, Jon Kabat-Zinn changed the way we think about awareness in everyday life with his now-classic introduction to mindfulness, Wherever You Go, There You Are. He followed that up with 2005's Coming to Our Senses, the definitive book for our time on the connection between mindfulness and our well-being on every level, physical, cognitive, emotional, social, planetary, and spiritual. Now, the original text of Coming to Our Senses is being repackaged into 4 smaller books, each focusing on a different aspect of mindfulness, and each with a new foreword written by the author. In this second of these books, Falling Awake (which was originally published as Part III and Part IV of Coming to Our Senses), Kabat-Zinn focuses on the "how" of mindfulness--explaining how meditation brings us into intimate relationship with all our senses, how to establish a formal meditation practice, and how to overcome some of the common obstacles to incorporating meditation into daily life in an age of perpetual self-distraction. By "coming to our senses"--both literally and metaphorically--we can become more compassionate, more embodied, more aware human beings, and in the process, contribute to the healing of the body politic as well as our own lives in ways both little and big.